Texas A&M Health Science Center and Baylor College of Medicine researchers have created a technology that is expected to offer a fast and profitable alternative to identify substitutes for Bisphenonal A, commonly known as BPA. The creation is a new test that may decrease the risks inherent to exposure to the common endocrine-disrupting chemical found in many domestic objects. The project integrates the newly formed Center for Translational Environmental Health Research (CTEHR), a collaborative cross-institution between Texas A&M University, Baylor College of Medicine, and the University of Houston. “One of only 21 such centers in the country, CTEHR brings together the state’s top environmental health scientists working towards a common goal — promoting new discoveries and translating these discoveries into treatments,” according to Cheryl Lyn Walker, Ph.D., director of the Texas A&M IBT. 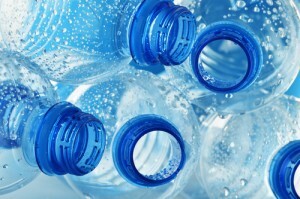 The point of departure for the researchers were previous studies that revealed the connection between BPA exposure and health problems, which can be as serious as cancer. BPA is a man-made synthetic compound used in the production of plastics and epoxy resins. Objects such as infant bottles and toddler training cups are consumer products that have raised the most concern in the wake of previous studies in young animals exposed to BPA. However, the effects of the chemical on humans is still not completely understood. In the current study, researchers analyzed how 18 distinct BPA analogs affect estrogen receptors, the main targets of the chemical, and performed image examination in cell line models with varying exposures to BPA analogs. “The high throughput approach that we’ve refined during the past several years can simultaneously quantify what these compounds are doing to a wide range of processes such as protein levels, nuclear trafficking, DNA binding, protein interactions, transcription, cell cycle, and proliferation,” said Michael A. Mancini, Ph.D., professor, director of the Integrated Microscopy Core at Baylor, and the director of Advanced Imaging at the Texas A&M Institute of Biosciences and Technology (IBT). “The results showed us that various BPA analogs increased or decreased certain receptor activities, while others were receptor specific; clearly, the various BPA analogs can have unique properties,” he added. Some of the BPA analogs have inhibitory effects on the beta form of estrogen receptor, which is a less known steroid receptor that can combat cancer. Some analogs also stimulated the alpha form of the estrogen receptor, or had mixed inhibitory and stimulatory effects. The next step may be further investigations to determine how these effects influence human health. “By better understanding the effects that EDCs, like BPA, have on our health, we can improve detection and prevention and mitigate the overall disease burden caused by environmental chemicals, ultimately impacting lives around the globe,” said Dr. Walker. The results of the study, which was funded by the National Institute of Environmental Health Sciences (NIEHS), were published in the current edition of Chemistry & Biology.